Designing company websites can be a tricky exercise. If done poorly, it may affect it’s online marketing campaign. However, with the following clever tips and tricks, the process will likely be a little smoother. One of the most unattractive web design trends is a website that has been overdesigned. One of the ways to avoid this is to begin the design in shades of gray. Those who use wireframes in the initial stages of web design will appreciate the value of starting with this technique. From then, it is easy to add color elements carefully, one at a time. When it comes to social media, it might seem unusual, but proper web design calls for the hiding of those icons. After spending all those hours inviting people to one’s website, all the social media icons do is push the visitors to leave the site. It is advisable to bury these icons in the footer. When visitors come to the website, ideally, one would like them to stay, ask questions about the company services and products. When visitors stay longer in the website, it will also help in the Google SEO ranking. Nobody wants the visitors digressing to the company Facebook site to view posts, or their Instagram to see the company pictures. The slideshow is another trend that was popular in the past that has now been overused. When they came into the picture, the slideshows were an awesome way of getting a lot of good content on the first page of one’s website. The problem, though, is that not many stay on the first page long enough for the slideshow design to have much of an impact. Furthermore, the messages therein are never relevant to the first time visitor. Instead of these particularly unhelpful messages, promote the things you would like customers to take out of the website. One of the most recommended tips is the simplification of navigation. Now this might likely reduce the options of the client, and this might seem counter-productive. However, it can actually help guide visitors to the most important offerings of the website. Instead of overwhelming visitors, simplify their navigation. To do this, reduce the use of dropdown menus, especially those that have multiple tiers that only those skilled with the mouse can access. Also, reduce the number of links that are found in the sidebar or header of the website. And yes, these are the 4 important tips. 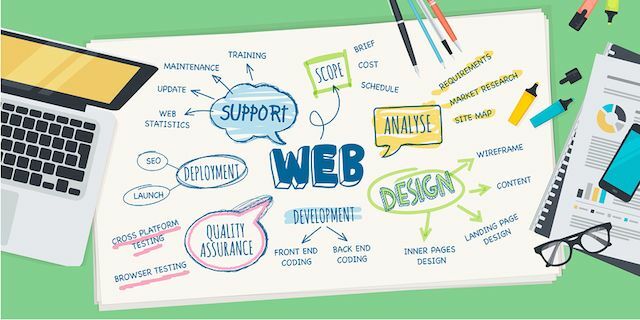 Following these tips will greatly improve your web design process.